Are you tired of having to choose between having clear vision or protecting your eyes from the glaring sun? 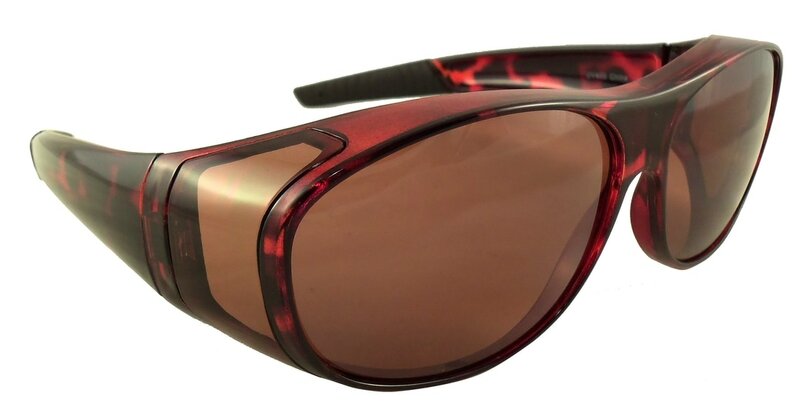 Our sun shield Fit Over Sunglasses from Ideal Eyewear™ solve that problem! Now you can get the crisp, clear vision you depend on from your prescription eyeglasses, while protecting your eyes from the sun and reducing eye strain at the same time. 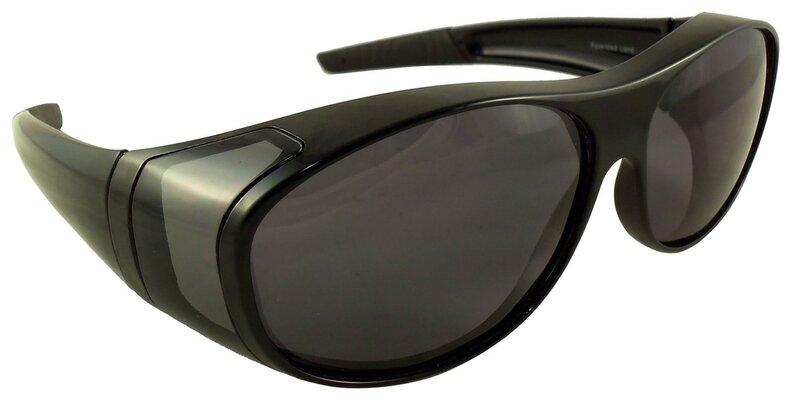 Sun shield fit over sunglasses are available with either polarized lenses, or blue blocking high definition lenses. Polarized lenses are better than regular tinted lenses because they eliminate glare off of buildings, vehicles, and water. The blue blocker HD lenses are better than regular tinted lenses because they help eliminate glare, and by filtering the blue light spectrum they provide excellent visual clarity. Both types of lenses are especially great for driving, golfing, and anything outdoors. Blue blocking lenses have also been shown to help with insomnia when worn for the last few hours before bed time. Many of our customers choose our blue blocking fit over sunglasses for this reason alone. High Density Copper lenses to eliminate glare. Blocks 100% of ultraviolet rays. Polarized lenses to eliminate glare. Blocks 100% of ultraviolet rays. Head Size: Adult Medium (fits most adults).